Thankfully, the proprietors offered me a sample, or I might have missed this recent addition to the Wintertime Farmer’s Market. 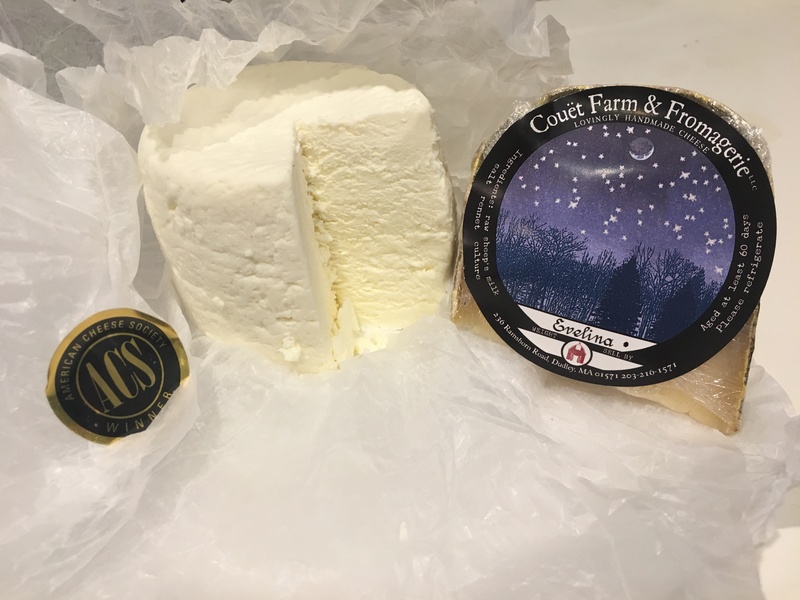 Couët Farm & Fromagerie makes cave-aged cheeses from raw milk in Dudley, Massachusetts. We purchased the Evelina—a rich raw sheep’s milk cheese with a delicious natural rind.